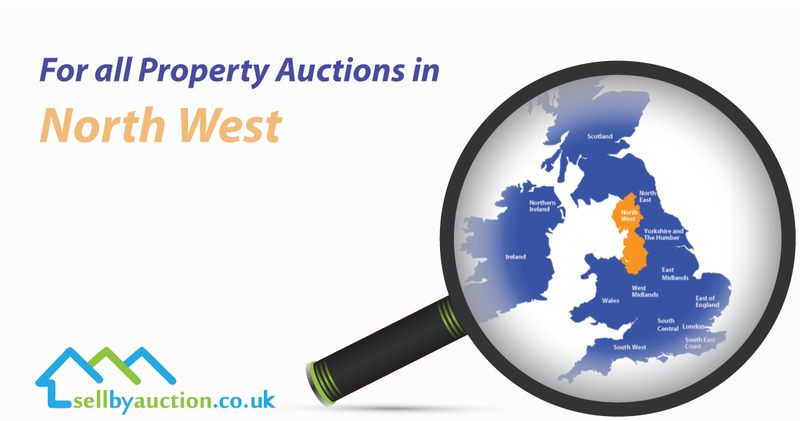 North West property auctions are one of Sell By Auction largest property auctions outside London. Serving major cities like Preston, Manchester and Liverpool, we attract large crowds of around 300-350 buyers. Builders, landlords, developers and homeowners bid competitively to buy an eclectic range of residential, commercial, investment and development stock. Sell By Auction property auctioneers offer a full colour, full-size catalogue which are produced with professional photographs advertising all the Lots. Open house viewing dates and free download legal packs attract even more buyers. Online advertising includes Rightmove, Zoopla and Essential Information Group. We will arrange EPC’s, floorplans, press advertising and auction for sale boards. Buyers bid in person, by telephone or by proxy. As market leading residential North West property auctioneers, we pride ourselves on selling your house, bungalow, terrace or flat for the best price. Therefore, we publicly list our most recently sold prices here on our website. These case studies provide comfort to many potential vendors who find we have acted for clients in similar situations. We welcome enquiries from all sellers and accept instructions on any property in any condition. No matter what your circumstances our experienced property auction team will deal with you sensitively and professionally. Above all else, our aim and guiding principle is always to provide options for the best interest of our valued customers “property sellers such as yourself”.